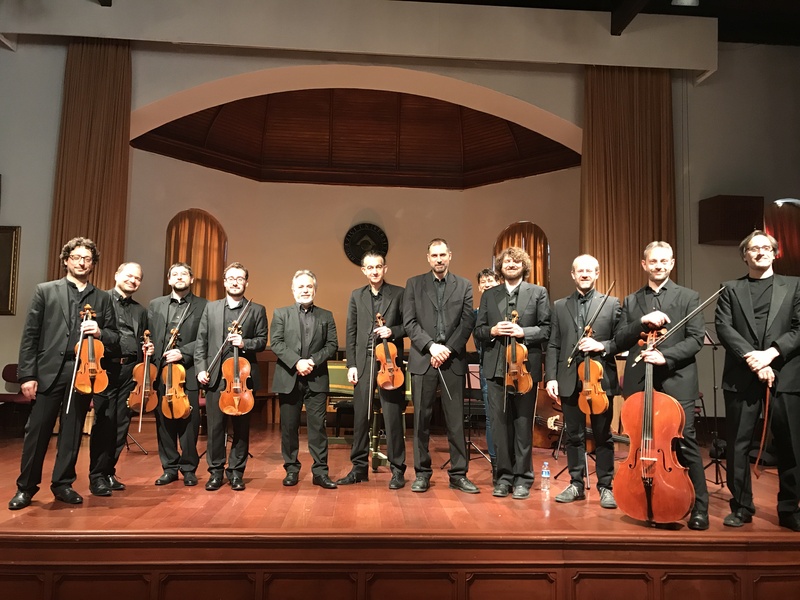 In 1994 Giorgio Matteoli founded Festa Rustica Ensemble, Italian baroque ensemble with variable musicians (from triosonata to chamber orchestra). In addition to the numerous concerts performed in Italy and abroad (France, Spain, Japan, Romania, Albania, Montecarlo…), its first worldwide recording of the Francesco Mancini recorder concerts for recorder and strings (CD Musicaimmagine Records MR 1004) obtained several positive feedbacks from national and international critics and, according to the American magazine “Fanfare”, it is one of the world’s best classical music recordings produced in 1995 (“the want list 1995”). After that the ensemble has discovered, recorded and performed on original instruments, all over Italy and Europe, unknown beautiful music from the 17th and 18th Century, mostly unprinted and neapolitan. In one of its last orchestral recordings, produced and distributed by the well known Amadeus italian music Magazine, Festa Rustica has also rediscovered the wonderfull and unknown musics composed for the Easter by the venetian Priest Francesco Antonio Vallotti (contemporaneous of Antonio Vivaldi): ”Lamentazioni per gli uffici delle Tenebre” for solo singers, obbligato cello and orchestra.